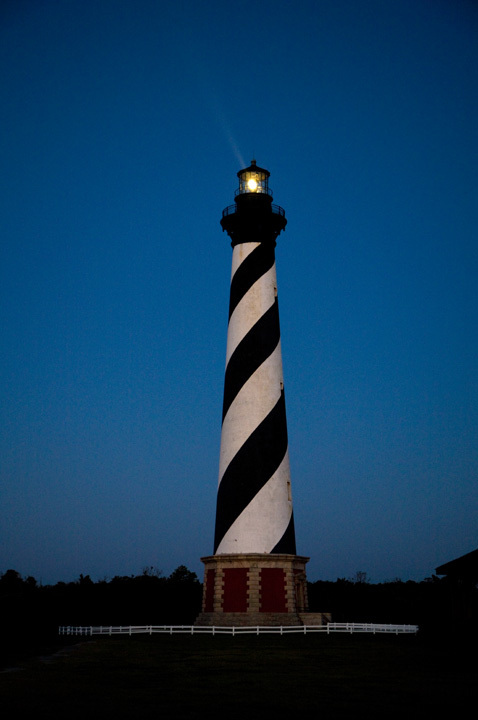 Every year the National Park Service offers an amazing chance to experience the Cape Hatteras Lighthouse in the moonlight. 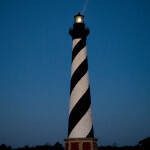 The NPS will be offering Full Moon Tours of the Cape Hatteras Lighthouse the evening of April 17 to the visiting public and local communities. Two tours will be given, one at 7:30 p.m. and a second at 8:30 p.m., and each tour is limited to 30 people. Tickets must be purchased in advance. Full Moon Tour ticket sales will start on Friday, April 15. The lighthouse ticket booth is open from 8:15 a.m. to 4:40 p.m. daily. Full Moon Tour tickets are non-refundable. As there are no lights inside the lighthouse, climbers will navigate the 257 stair staircase using handheld flashlights. 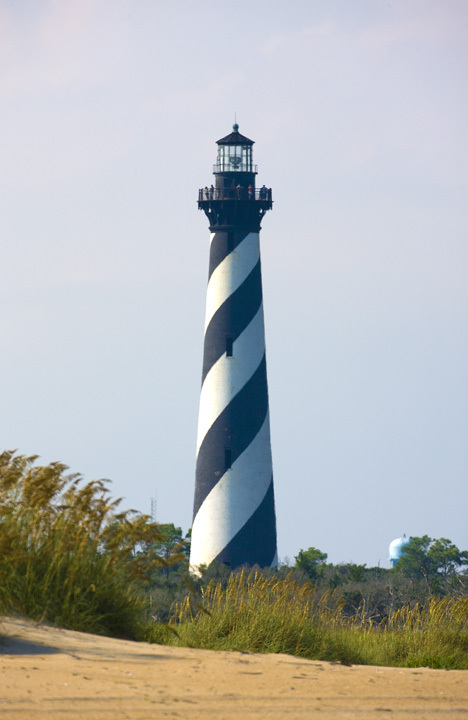 During the climb, park rangers will provide stories of the arduous duties of the lighthouse keeper. From the watch room, visitors will be able to view the light up close and in motion and hear of the operation of the beacon, past and present – a truly unique experience. 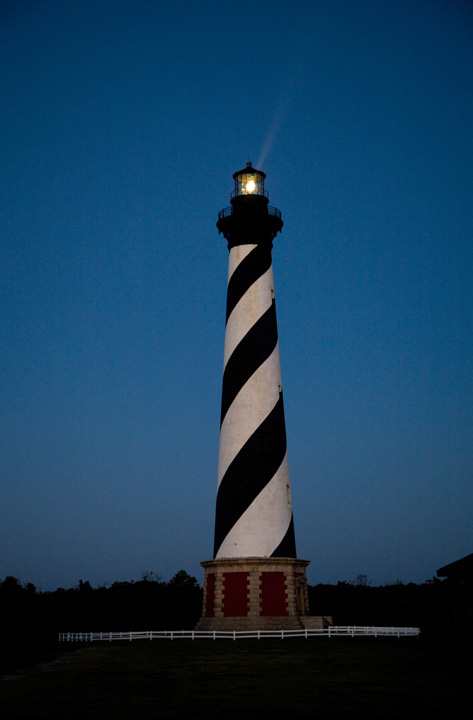 Outside on the lighthouse balcony (weather permitting) climbers will get a glimpse of what the lighthouse keepers of old were able to experience – seeing that beam of light reaching out to sea and the startling reflection of the newly risen moon on the ocean. 1. Full Moon Tour tickets, limited to the first 60 purchasers, must be purchased in person, in advance, at the lighthouse ticket booth. Full Moon Tour ticket sales will begin Friday, April 15. It is anticipated that tickets will sell out early. Standard admissions fees apply – $7 for adults, and $3.50 for children (11 and under) as well as seniors (62 and older). The lighthouse ticket booth, located at the lighthouse site, is open from 8:15 a.m. – 4:40 p.m. daily. 3. All participants are required to be at least 42 inches tall and must climb the steps on their own – they can not be carried! If unsure, check with the park rangers before purchasing your non-refundable ticket. Also, keep in mind that some youngsters, although meeting height requirements, may not enjoy the dimly lit, sometimes claustrophobic environment. 7. All routine lighthouse safety requirements, as well as restrictions to eating, drinking, gum etc., apply. This information will be provided to you when you purchase your ticket. 8. Tickets are non-refundable. If the program is cancelled due to weather, the ticket holder may exchange the ticket the following morning, April 18, between the hours of 8:15 a.m. and 9:15 a.m. for a replacement ticket useable only on April 18. This ticket will be for day climbing only. 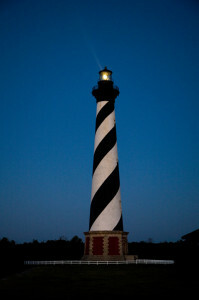 Cape Hatteras Lighthouse Moonlight Tours – just one of the many things to experience on Hatteras Island! 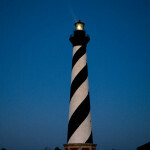 Tour the Cape Hatteras Lighthouse at Night! 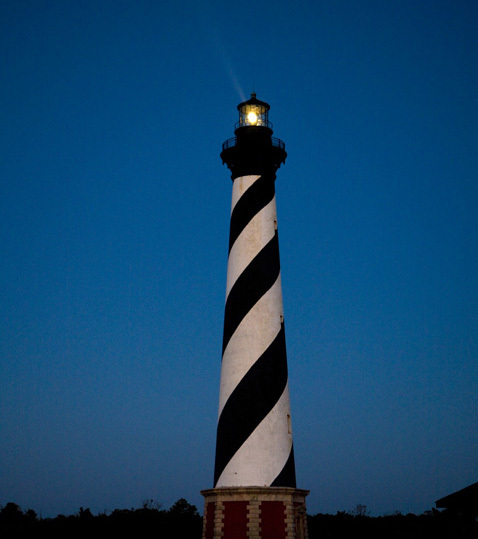 The National Park Service offers full moon tours of the Cape Hatteras Lighthouse throughout the season, providing a very special experience for visitors. 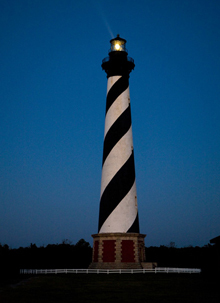 Climbers will get a glimpse of what the lighthouse keepers of old were able to experience – seeing that beam of light reaching out to sea and the beautiful reflection of the newly risen moon on the ocean. 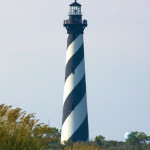 There are no lights inside the lighthouse and climbers will navigate the 257 stair staircase using handheld flashlights. During the climb, park rangers provide stories of the arduous duties of the lighthouse keeper. From the watch room, visitors will be able to view the light up close and in motion and hear of the operation of the beacon, past and present – a truly unique experience. These tours are only offered on special nights when scheduled by the National Park Service. On these evenings, two tours are given, one at 8:15 p.m. and a second at 9:15 p.m. Each tour is limited to 30 people. Full Moon Tour tickets must be purchased in advance at the lighthouse ticket booth. 1. Full Moon Tour tickets are limited to the first 60 purchasers and must be purchased in person, in advance, at the lighthouse ticket booth. Full Moon Tour ticket sales will begin a few days in advance of the scheduled tour. It is anticipated that tickets will sell out early. Standard admissions fees apply – $7 for adults, and $3.50 for children (11 and under) as well as seniors (62 and older). The lighthouse ticket booth, located at the lighthouse site, is open from 8:15 a.m. – 5:40 p.m. daily.